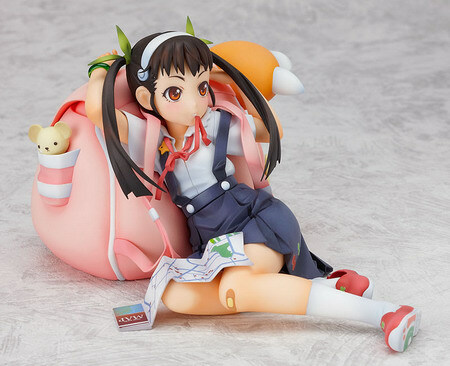 May 31st, 2011 By: GGT Category: 2011/10 release, Figure News. 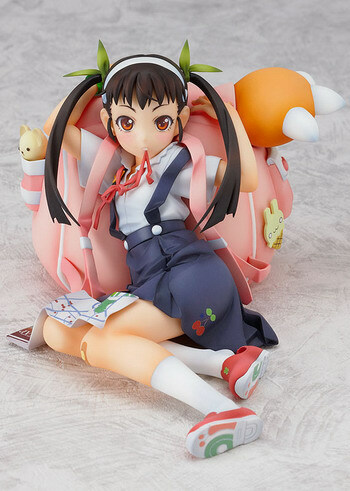 Good Smile Company is going to release the Hachikuji Mayoi ( 八九寺真宵 ) 1/8 PVC figure figure from the light novel/anime “Bakemonogatari” ( 化物語 ). Will be released in October 2011. 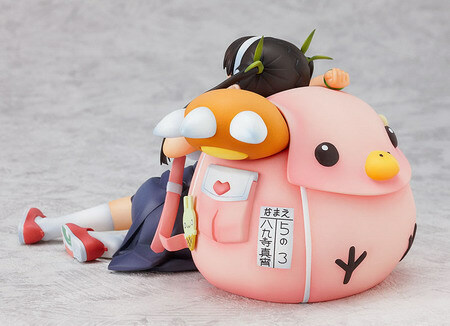 Around 160mm tall (long), 7,429 yen. By the way, I have a really bad feeling that soon October will become another deadly monthy for me after the Dead August. (-_____-. The sharp-tongued primary school student! 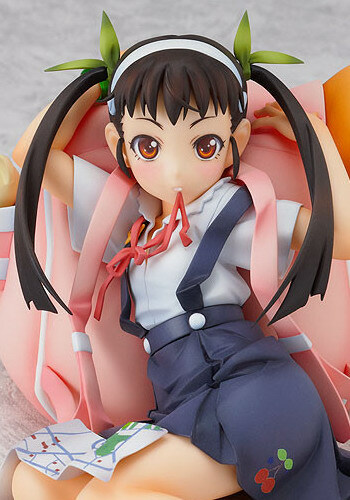 From the popular anime ‘Bakemonogatari’ comes a 1/8th scale figure of ‘the girl puzzled by a snail’, Mayoi Hachikuji! 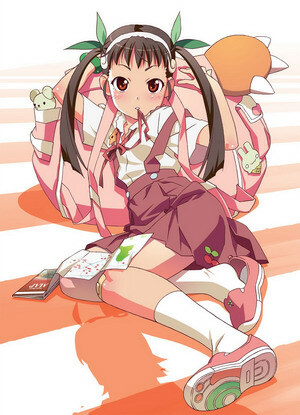 The pose is based on the illustration used on the front cover of the 2nd volume of the Blu-ray and DVD series ‘Mayoi Snail’, which featured Mayoi in an slightly embarrassed pose as she leans against her giant red backpack with an adorable expression across her face. 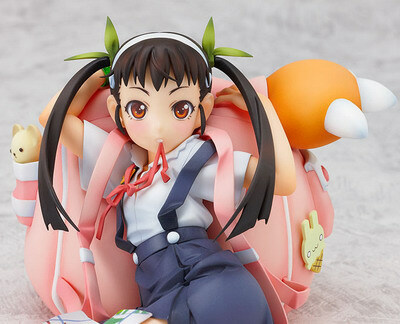 Her trademark backpack is also carefully detailed with things from the the illustration such as the giant paw coming out the top of the bag, and even a removable teddy bear in the side pocket – little details sure to please any fans of the series!